McCloud’s publications show this double-barreled approach. His comic theory book ‘Understanding Comics – The Invisible Art’ (1993) is a seminal work that we can’t recommend enough. It’s an incredibly inspiring read that helps you understand why comics is a unique visual language as well as a true art form in its own right. In the interview, McCloud also discusses his most recent graphic novel, ‘The Sculptor‘, which came out in 2015. It tells the story about a sculptor whom Death gives 200 days to live in exchange for the power to sculpt anything he can imagine. Like his non fiction work, The Sculptor is a story that works on many levels. Understanding Comics is available on Amazon. 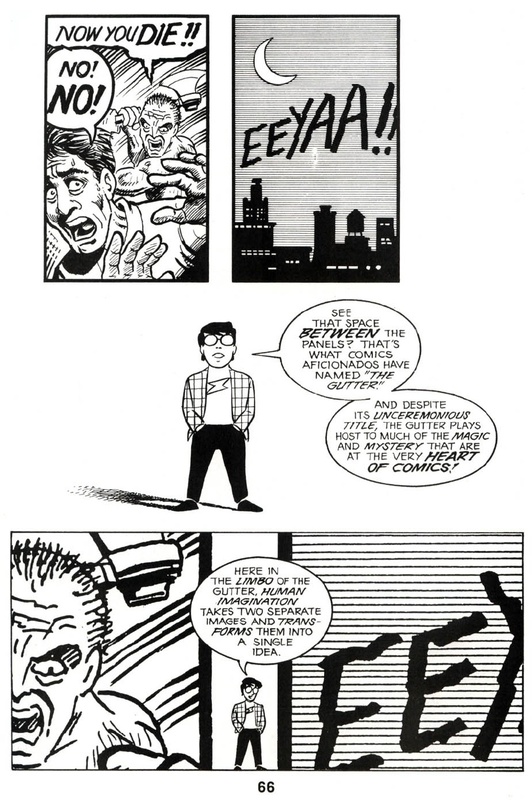 You can find Scott at scottmccloud.com. This interview was recorded in the former location of the oldest comic book store in Amsterdam, Lambiek. Interview: MIchael Minneboo; Director: Geert van de Wetering; Commissioning editor: Remco Vlaanderen.